When did awkward get a VETO? 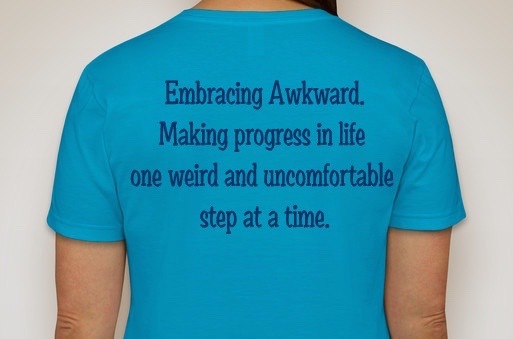 Who empowered awkward with the power to slow us down and even stop us? Growth happens when we press forward with new experiences, skills, relationships, conversations, connections, and roles. Maybe that awkward feeling can serve as a simple reminder that what we are about to do is important. Instead of shying away from that feeling, maybe it is time for us to start embracing awkward and re-interpret those feelings. Coaching someone is an interesting adventure. You are trying to help someone develop themselves, establish and accomplish their goals, and encourage them when the journey becomes difficult. A typical coaching session includes checking in and checking up on any progress since the last session. Progress is about making a repeated effort, over and over again. Having someone else check in with you can be helpful. Having someone else check in with you can be frustrating. Sometimes there is great progress. Sometimes progress is slow. Sometimes obstacles get in the way. When checking in, you can sense when progress has been slow by the tension during the meeting. There is a quiet hesitation as you begin to ask questions. When frustration builds, answers sort of blurt out. Those words told a story. 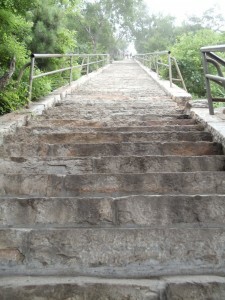 A story of frustration at how steep the journey had become. A story where each subsequent step was harder than the last. A story that felt endless when trying to envision the top of those stairs when standing at the bottom. Where has your journey become steep? Where has the progress slowed or stopped? Maybe today is a good day to remind yourself to take that next step, and remember that YOU will be there someday.